Ruggedised microphone cable with integrated, metal-cased pre-amplifier for broadcast and music professionals. 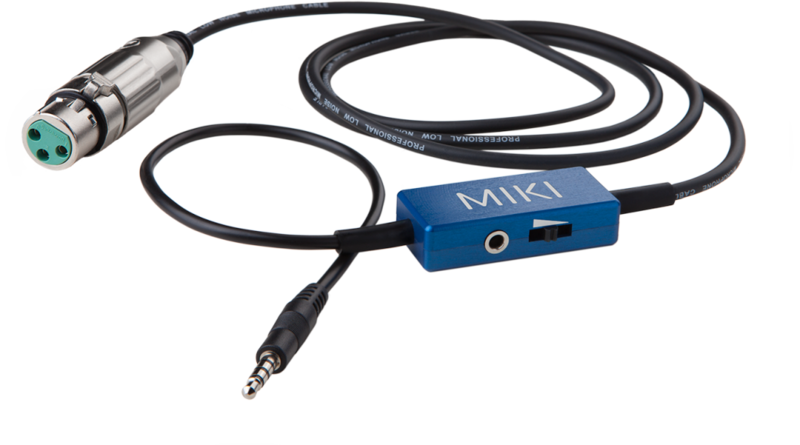 Portable, professional quality microphone recording in more difficult environments is now easy to achieve with the MIKI Metal Broadcast Smart Connection. Favoured by the world’s major broadcasters, MIKI allows users to connect a microphone, headphones and mobile device as one unit with a single cable for the ultimate in interview or location recording audio. And musicians love it too! Works with LUCI LIVE, LUCI LIVE Lite and other (live) broadcasting software.